Place the water into a pot and bring to boil. Add the chocolate chips and stir until the chocolate has melted completely. 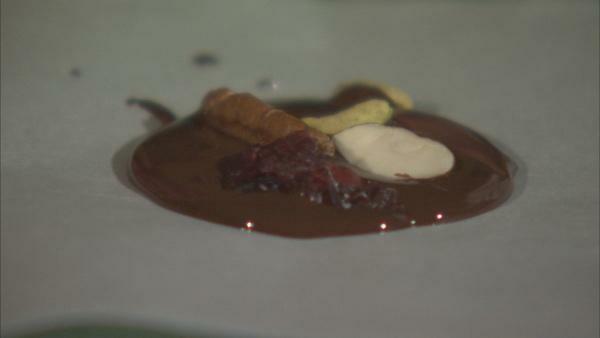 On a tray with wax paper, drop a table spoon full of chocolate sauce onto the tray. Repeat until you utilize all the chocolate. Make sure when you are making your chocolate coins, you pour down the middle and do not try to expand or add more chocolate. Once you've piped all of the chocolate you can start adding the nuts and dried fruit. Place a few nuts on top of the chocolate coin and place in the refrigerator for 15 minutes before serving. Contains 40 Calories per coin.